Find holiday and business accommodation in Cape Town, the Cape Peninsula and the Western Cape in beautiful South Africa.  Cape Stay is a handy and popular online resource, designed to help you to make an informed accommodation choice in the Western Cape - South Africa's premier tourist destination. Browse through our selection of Cape Town hotels, guest houses, self catering accommodation, bed and breakfasts, backpackers, holiday homes and other accommodation in the Western Cape and find the perfect place to stay! Each subscriber represented here has their own web page. Click through for more comprehensive information about their amenities, their rates and to view full colour photographs of their facilities. All contact details are provided to enquire and book directly with each establishment. CapeStay continues to expand, so be sure to visit regularly and catch up with all the new resources that are being added.